One of the most common questions we’re asked here at Miter Saw Judge concerns which size miter saw is the wisest addition to your workshop. Since everyone has different needs, we’re not going to give a clear-cut right or wrong answer. Today, though, we’ll examine the issue of 10-inch vs 12-inch miter saws so you can see which would work best for you depending on what you want to do with your saw. Although you can get compact 7 ¼-inch or 8 ½-inch miter saws and even a 15-incher in the form of the mighty Hitachi C15FB, by far the most popular sizes are the 10-inch and 12-inch. Not everyone has the same budget or the same projects in mind so, rather than offering a straight-up comparison of a 10-inch vs 12-inch miter saw by category, we’ll give you a snapshot of where each saw stands and falls so you can determine which would work best for you. As with pretty much any power tool, the more you ramp up the size, the more you’ll pay. 10-inch miter saws are cheaper than a comparable 12-incher. Clearly, there are many extremely expensive 10-inch saws and a number of budget 12-inch saws but we’re talking about like for like. You’ll save money straight off the bat opting for a 10-inch miter saw. You’ll generally get more pace with a 10-inch miter saw. Since the blades have a smaller radius, they’ll spin more rapidly yielding a smoother and more accurate cut. 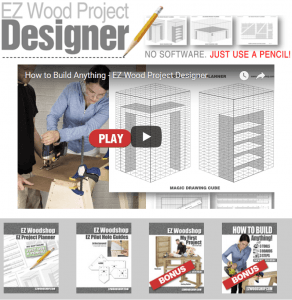 Not only will you get more work done in less time – as long as the project is suitable for a 10-inch saw, of course – but the results will be superior into the bargain. Comparing blades of similar quality, you can expect to pay only half as much for a 10-inch blade as a larger blade with the same number of teeth. This cost soon starts to mount up if you start building a collection of blades. Sharp blades are crucial if you’re serious about your woodworking and it’s costlier to have a 12-inch blade sharpened so, once more, you’ll save money with a 10-inch saw and you’ll save on an ongoing basis. Setting the price issue to one side, it’s also much easier to find 10-inch blades and you’ll enjoy a better selection. At a push, you can even press the blade from your table saw into commission. In terms of cutting, you’ll need fewer teeth on a 10-inch blade to get a cut rivaling a 12-inch blade. In all respects bar raw cutting capacity, the 10-inch miter saw comes up trumps on the blade front. Some argue that larger blades will deflect more from the workpiece causing wobbling that will negatively impact accuracy. Other purists claim that this is only the case if you buy cheap and lightweight blades for your 12-inch saw. Beyond this difference of opinion, wobble won’t be too much of a problem if you’re engaged in framing work but if you plan to carry out a lot of intricate interior trim work, it’s certainly worth your while considering this point. It might seem a statement of the obvious, but if we’re talking about the chief advantages of a 10-inch miter saw, size and versatility rate a mention. 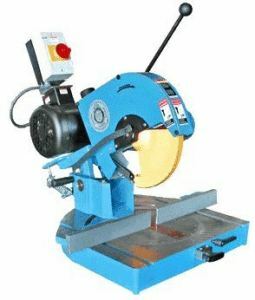 10-inch saws take up less real estate in your workshop, you can transport them from home to jobsite with relative ease and you can stash them away in fairly small spaces if required. 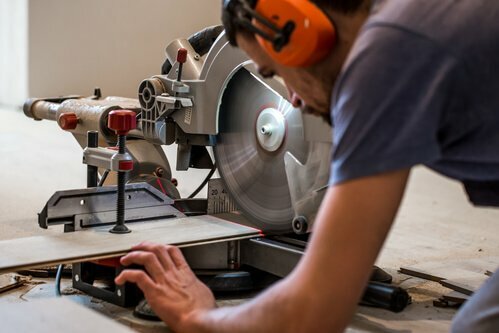 As with all elements of choosing between a 10-inch and a 12-inch miter saw, double down on your exact requirements as only you know how important it is to have a portable and more adaptable saw. The leading drawback with a 10-inch miter saw is, evidently, its reduced cutting capacity when set against its big 12-inch brother. You’ll still comfortably be able to cut up to 6 inches of material but you’re not going to come close to the capacity of a 12-inch saw. If you mainly intend to work with 4x4s or smaller pieces of lumber, this might not be problematic. If, on the other hand, you have some large scale and ambitious cutting projects up your sleeve, bear in mind the diminished cutting capacity of a 10-inch saw. The leading plus point of a 12-inch miter saw is the power kicked out by the 15-amp motors. Again, we’re talking about saws of the same quality here not a cheap 12-inch pitted against a 10-inch Festool. Since you can sometimes also use a 10-inch blade on a 12-inch saw, that way you’ll benefit from both the uprated amperage and a higher velocity for a double win when it comes to power. This is not the case with all 12-inchers but it’s a fairly widespread feature. Not only will you get a greater RPM but you’ll also be able to handle finer cuts with more finesse using a 10-inch blade. The power alongside the increased size allows you to work confidently with much larger workpieces when you’re using a 12-inch miter saw. The majority of 12-inch saws will slice their way through pieces 12 inches wide with 2 cuts allowing you much more scope of work. You’ll be able to cut 4x6s with just one pass. 12-inch saws are ideal for any harder materials like plywood and they also come into their own for cutting down laminated lumber into smaller bits. Bear in mind, though, that you will still need to make multiple cuts with really huge workpieces so a 12-inch saw is not a magic bullet. The size and rugged nature of 12-inch miter saw invariably translates to a more durable unit. 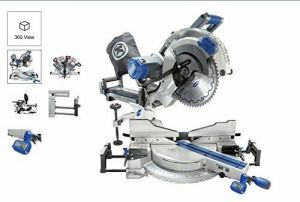 As with every element of this head-to-head, this assumes saws of a similar price and quality ratio. 12-inch miter saws are more expensive due to their sheer size and increased functionality. Throw in pricier blades and a stiffer power bill due to the extra electricity you’ll use and this is one of the main downsides to a bulkier saw. As mentioned, 12-inch blades understandably cost more than their 10-inch counterparts. 12-inch blades can also be tough to find and you won’t get the same breadth of choice either. What you need to keep firmly in mind is getting the right power tool for the right job rather than seeking a one-size-fits-all answer to the issue of the 10-inch vs 12-inch miter saw. If you have a single substantial project in mind and base your buying decision purely on the fact a 12-inch miter saw will cut some 4x6s in a single pass then never do anything but fine woodworking after… Well, you’re likely to end up with an expensive workshop ornament. For anyone consistently undertaking ambitious, heavy-duty endeavors, on the other hand, it would be a mistake to laser in on buying a compact saw unlikely to be fit for purpose. When you’re thinking about whether to get a 10-inch miter saw or a 12-inch miter saw, intended usage should be uppermost in your buying decision. 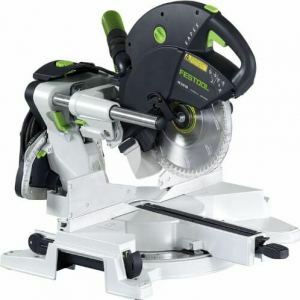 If you take the above factors into account and you frankly analyze your personal requirements, you’ll end up with the best miter saw without too much trouble. 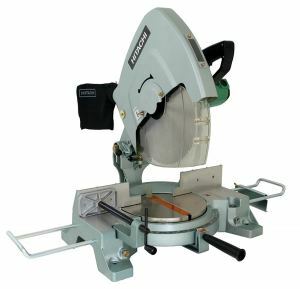 10 inch sliding mitre saw is more useful in the shop where as 12 inch is better for construction projects!